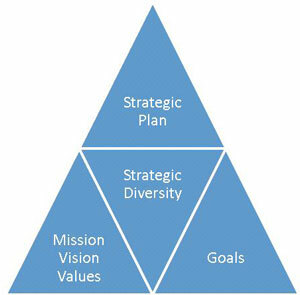 Strategic diversity management produces business results when there is alignment with the overall strategic plan of the organization. Once alignment is established, there are numerous opportunities to bring about these results. Some of these include: defining a diversity leadership committee, establishing employee resource groups, determining community outreach, marketing to all demographics, training and developing employees, and identifying new recruiting methods.